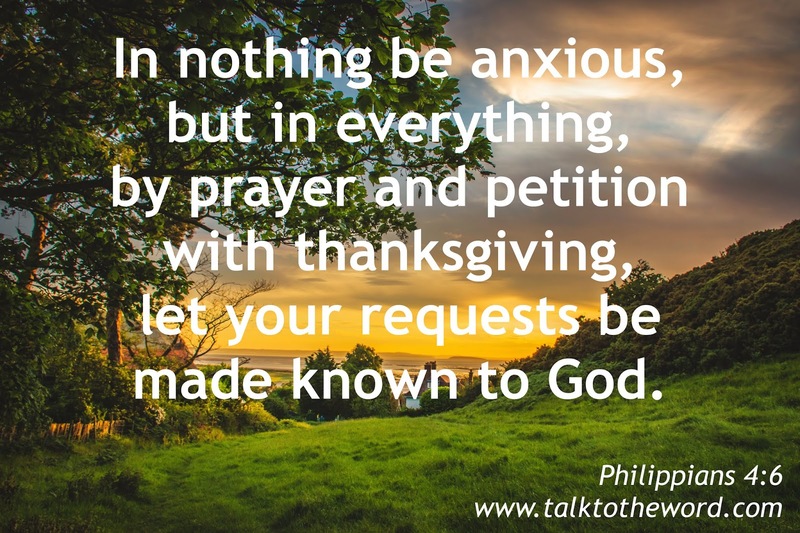 Philippians 4 [5.] Let your gentleness be known to all men. The Lord is at hand. In nothing be anxious, but in everything, by prayer and petition with thanksgiving, let your requests be made known to God. 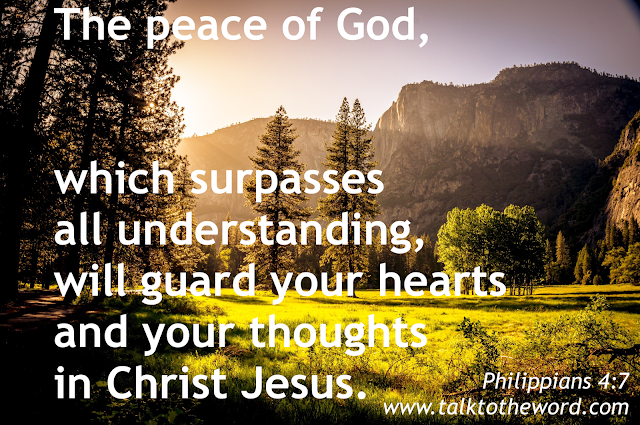 And the peace of God, which surpasses all understanding, will guard your hearts and your thoughts in Christ Jesus. Philippians 4 [8.] Finally, brothers, whatever things are true, whatever things are honorable, whatever things are just, whatever things are pure, whatever things are lovely, whatever things are of good report; if there is any virtue, and if there is any praise, think about these things. The things which you learned, received, heard, and saw in me: do these things, and the God of peace will be with you.